Whalley-based family jeweller Sarah Layton has received national recognition for its sparkling offering to its customers. 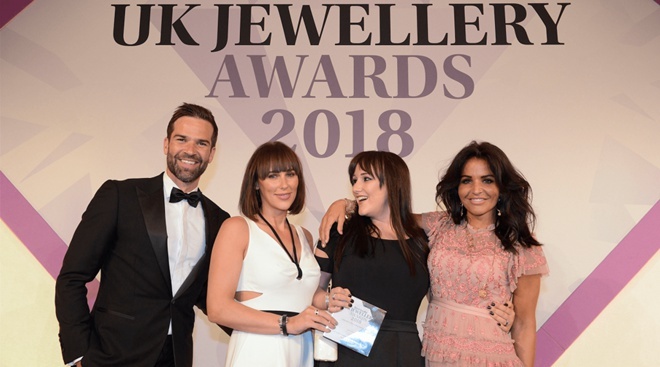 The business was named “Multi-Brand/Fashion Jewellery Retailer of the Year” at the Retail Jeweller UK Jewellery Awards (UKJA). Pictured here is Gethin Jones (left) who hosted the event handing out the award with Chloe Moss (far right), founder of ChloBo. Lauren Bottomley and Leanne Rogers (directors of Sarah Layton) are accepting the award (centre). Leanne Rogers, co-founder of Sarah Layton, which is now in its ninth year of business, is delighted at the industry recognition and has praised the staff at the store. She said: “As an independent retailer it means so much to us to know that the hard work we do is being recognised. The judges were also full of praise for the business, which they said, “showed heart, soul and likeable business personality, keeping its own identity front and centre, while still successfully retailing many big-name jewellery brands”. Sarah Layton beat off competition from well-respected retailers including John Lewis, Argento Jewellery, Jewella and Rubirox, to lift the award at a glittering ceremony. 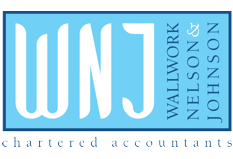 WNJ is delighted to be associated with any business that strives for excellence in quality merchandise and service. In times when the retail sector is often reported as struggling to survive on the High Street it is encouraging to see how by sticking to core values and looking after the customer can still bring rewards to the independent retailer.